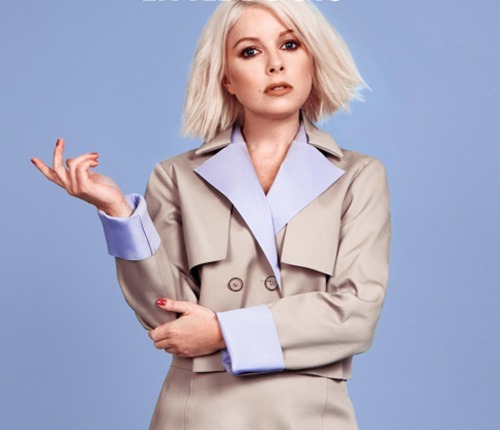 In a post-Business Pleasure world we are eagerly awaiting the release of the queen of ElectroPop, Little Boots,’s third album. It’s titled Working Girl and set to be released in July, and in advance of that, we can have our first taste in the form of the pre-release single which was unleashed this week. The single is called Better In The Morning, a track that she’s been teasing for the past few days and is now available for your listening pleasure in all it’s glory. Better In The Morning is a continuation of the evolution of Little Boots sound. As hinted at on the Business Pleasure EP, the new material seems to be less Deep House influenced and taking a Alt-Pop slant. It’s got itself a quirky DiscoPop groove, which more of a Raw feel that her very early DiscoPop track. This feels like the DIY Pop we’ve always though of her as. It’s Pop with no rules. Woody bassline and a solid beat propel the track, which is leaden with robotic sound effects and synth scratches while Boot’s enigmatic nursery rhyme vocals feel pleasingly biting and tongue-in-cheek. It’s a track that you just have to bob your head to, there’s no preventing that. We’re dead excited for the album.